Dr. John Frame, highly respected surgeon and founder of Breast Health Specialists of Oklahoma (BHS of OK), has operated on thousands of breast cancer patients over his nearly three decades of surgical experience. However, he also runs a vibrant, growing business. In 2012, Dr. Frame, team leader of BHS of OK, had an insurance review. The company’s insurance representative pointed out that BHS of OK was vulnerable to security breaches and regulatory non-compliance fines. “It’s a defense move. Should there be a HIPAA compliance or security breach, you’d be really vulnerable to penalties if you haven’t done a compliance audit,” said John R. Frame M.D., Surgeon, Founder, BHS of OK. The challenge was not that BHS of OK should comply with HIPAA regulations, but how. The insurance company had two pieces of good news. First, they recommended www.aegify.com as a comprehensive solutions provider. Second, they promised significant insurance savings upon proof of HIPAA compliance. After a 30-minute phone call with Aegify, Dr. Frame, learned that Aegify Compliance Manager provides a unified platform for all BHS of OK’s HIPAA compliance management activities and automatically integrates with risk, security management and audit operations. He appreciated his unprecedented visibility into BHS of OK’s compliance efforts and risk management across his organization. The time investment to become HIPAA compliant the first time in BHS of OK’s history was 8-10 hours. BHS of OK answered Aegify’s compliance questions and gathered or created all required supporting documents. 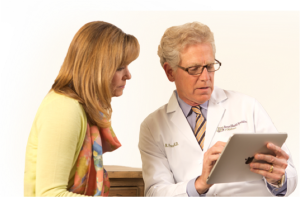 “Aegify gave us a lot of templates making the process easier,” said Dr. Frame. Peace of mind. BHS of OK has been HIPAA compliant for three years. Should a compliance audit be mandated in the future, BHS of OK has a solid paper trail. Significant insurance savings. For three years, BHS of OK has enjoyed lower insurance premiums because of their current Aegify certificates of compliance. Best PHI practices. HIPAA compliance is now a part of BHS of OK’s daily operations. BHS of OK staff has been trained and compulsively adheres to best practices for securing protected health information in all forms: email, paper, databases, over the phone or in person discussions.